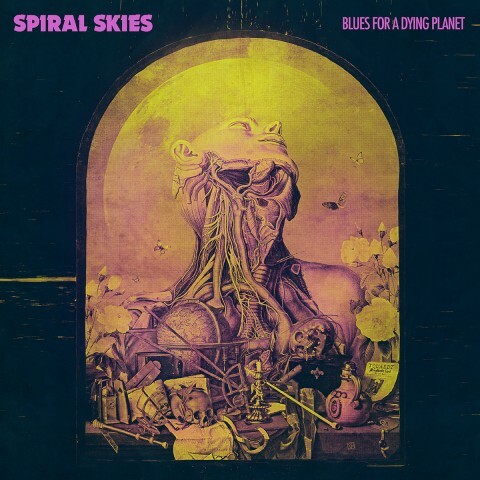 With greetings from the 70's: Review of Spiral Skies’ "Blues for a Dying Planet"
Once one Ukrainian musician, discussing the lamentations of some meters about alleged "dead rock", told me that if 'rock is dead' for the authors of these high-profile statements posted by Rolling Stone, then they just grew old. Good music hasn’t disappeared anywhere, even though it faced with some mutations, becoming more niche. The thing is, in whose hands the instrument is: someone turns his creativity into showbiz and jactitation, and someone becomes a devoted fan of the genre and gives with his music a tribute to the idols of the past decades. Later confirmation of this could be found in little-known releases, apparently belonging to rather young musicians, in fact — masters of transformation and real virtuosos. The quality of the old school sound and the believability of the general atmosphere of these records is a real delight today. So for the past few years my personal playlist has replenished by such projects like The Darkness (UK), The Neptune Power Federation (Australia), Baphomet's Blood (Italy), the Sweden bands Ghost and Year Of The Goat, and now by the beginners with the greetings from the 70’s — a curious Stockholm-based quintet Spiral Skies. This May, following the EP and a number of tasty singles, the band presented its first full-length album called "Blues for a Dying Planet". In fact, the CD has drawn a line under the developments of Spiral Skies since its formation in 2014, as it collected 9 tracks, 5 of which had previously been unveiled as separate releases, as well as a thematic intro and 3 fresh compositions. 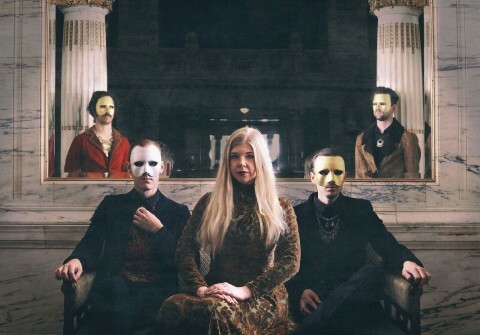 The Swedes in masks, playing old school occult rock with an admixture of gloomy doom parts, certainly evoke some associations. However, despite the fact that some listeners hastened to tag the group "a female version of Ghost", Spiral Skies should be viewed from a completely different angle. Spiral Skies is a gloomy theater with rock guitars, chorus, and organ playing. Blues rock operetta with amazing female vocals, which in some tracks reminded the vigorous voice of Deborah Harry (Blondie). At the same time, there is still a feeling of something very familiar, but it’s not possible to hold other parallels. And there is no need in them at all, since the singing of Frida Eurenius, her alternation of high and low notes causes only a desire to continue this pleasing listening. The band’s vivid and uninhibited sound is supplemented by equally gorgeous, capacious, yet easy-to-comprehend lyrics, however it may sound, considering its themes, which reveal to the listener a dark world teeming with rats, hiding snakes, witches, and magicians. "Toads and bats, serpents and rats, dancing in the fire. Pagan nights, nocturnal rites, slaves to our desires", — sings Frida Eurenius in one of the album's brightest tracks "Dark side of the Cross", which has recently gotten its own music video. I've also seen comparisons of Spiral Skies with bands like Jefferson Airplane or The Devil's Blood. To these associations, you can add features of the British act Purson, formed a few years earlier. But the musicians themselves note on their official pages that their music is inspired by Space and Time.